We are an academic multi-disciplinary team of scientis​​ts, doctors, technicians, nurses and assistants, led by Gerhard Walzl, pulmonologist and Tuberculosis Biomarker and Immunology researcher. The Group was established in 2002 within the Division of Molecular Biology & Human Genetics, Department of Biomedical Sciences, Faculty of Medicine & Health Sciences, at Stellenbosch University. The group has since been involved in numerous international and local research collaborations, contributing amongst others, to the fields of Immunology, Tuberculosis and HIV. Our main focus as a specialist Tuberculosis Immunology Group is biomarkers. Gerhard is a clinician scientist and leads the group. Clinically he was trained in the fields of internal medicine, pulmonology and intensive care medicine. His research focuses on the immunology of MTB infection and in particular host biomarkers, including diagnostic markers, markers of TB treatment response and markers of protective immunity against MTB. Gerhard’s research group is part of several international consortia and conducts recruitment of large cohorts of participants with well-characterized MTB infection and disease phenotypes to search for biomarkers of TB. In addition, he has set up a ‘site of TB disease’ research program at Tygerberg Academic Hospital that includes research bronchoscopies, thoracocentesis and pleural biopsies to investigate immune responses in the lung and pleura. His research spans the divide between clinical and basic sciences in a high TB prevalence area. Dr André Loxton is a senior scientist in the Stellenbosch University Immunology Group (SUNIRG). He completed his undergraduate and postgraduate studies at Stellenbosch University and his PhD focused on regulatory T-cells during HIV-TB co-infection. His current research continues around the different cell phenotypes, including regulatory T-cells and B-cells during Tuberculosis and HIV disease and the discovery of TB biomarkers. He is actively involved in TB vaccine studies and vaccine end-point characterization. He is experienced in a wide range of research related activities, from operational issues of cohort recruitment and follow-up to advanced immunological and molecular biological laboratory techniques, which is ideally suited for research in Tuberculosis in a high endemic area. 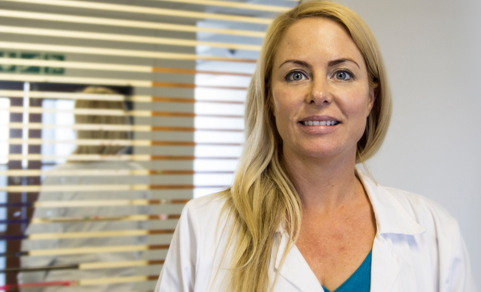 Dr Nelita du Plessis is currently a senior scientist at SUN-IRG, which she joined as research assistant in 2007. She has a B.Sc degree in Genetics a Hons B.Sc in Molecular Genetics and M.Sc in Human Genetics. She completed her PhD in Biomedical Sciences at Stellenbosch University in 2012, focusing on the immunological effect of helminth infestations on the innate and adaptive host responses to Mtb in a mouse model. Her current research focuses on innate immune responses to MTB and vacination, in particular the role of myeloid derived supressor cells. 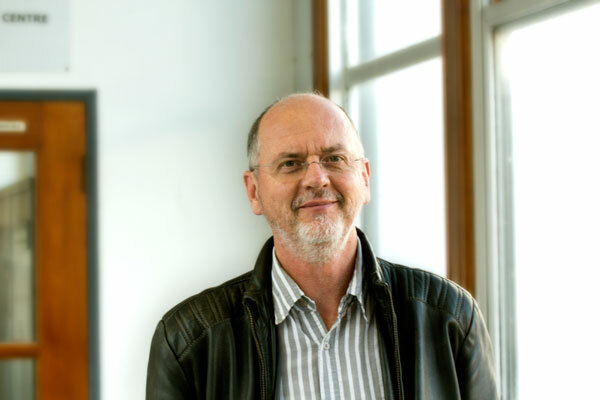 Professor Gerard Tromp holds a BSc and a BSc (Hons) in Biochemistry from Potchefstroom University and a PhD in Biochemistry from Rutgers University and the University of Medicine and Dentistry of New Jersey (UMDNJ). 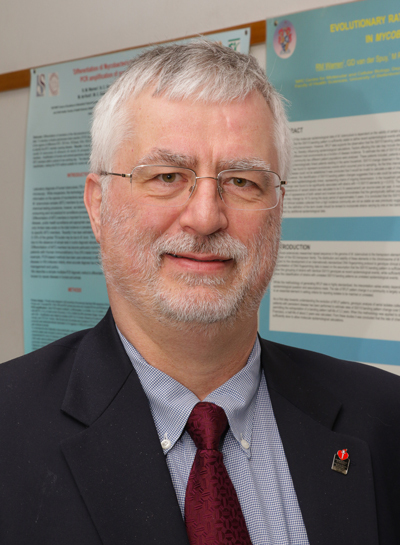 Prior to joining Stellenbosch University in March 2015 as a professor of Bioinformatics and Human Genetics, Gerard held faculty positions at Thomas Jefferson University in Philadelphia, Pennsylvania, at the Center for Molecular Medicine and Genetics, Wayne State University School of Medicine in Detroit, Michigan, and at Geisinger Health System, in Danville, Pennsylvania, USA. Gerard has extensive experience in bioinformatics and computational analyses and has authored over 200 publications. At Stellenbosch University he is participating in many collaborative research projects and building up a bioinformatics programme. He is driving the South African Tuberculosis Bioinformatics Initiative (SATBBI), a SA MRC funded programme to foster bioinformatics support for collaborative tuberculosis research. The worldwide epidemic of Tuberculosis (TB) requires major interventions on many levels if we are to control its spread and influence on quality and duration of life of those with disease. Improved diagnostic tests of TB infection and disease, as well as an effective vaccine are some of the interventions that will help in this quest. The pathogenesis of TB leads to a few host conditions that, rather than being distinct states, occur along a continuum, from exposed, uninfected to sub-clinically infected, to diseased. This continuum extends beyond the treatment phase where differential outcomes occur, including failed treatment, relapse after initial cure and relapse free cure. Reinfection may also occur. We are involved in several long-term follow-up studies at all the intersections of the TB spectrum. The Stellenbosch University Immunology Research Group is contributing on the basic science level, mainly focusing on biomarker discovery. Household contacts of patients with active TB are a useful group to study for discovering factors that predispose to becoming TB infected after exposure and also to develop disease after having been infected. Only 10% of the TB infected become diseased. Ex vivo mRNA expression, antigen-specific T cell responses and expression of various cytokines from a large cohort of household contacts of active TB cases have been investigated during a follow-up period of two years. These are being studied to find biomarkers that distinguish those who become ill from those who seem to have a natural protective immunity. One serious limitation of current diagnostics for latent TB infection (sub-clinical TB) is the inability of tests to differentiate between recent and remote infection. This is important as the risk for progression is highest in the first year after infection. Tests also do not differentiate between the presence of live bacteria and immune memory in the absence live bacteria. We are investigating responses other than Interferon Gamma production to address these limitations. Even though TB diagnostics have seen significant developments over the last decade, many challenges remain. We contribute to improvements in this field by striving to develop a rapid point of care test for TB, utilizing lateral flow technology recognizing cytokine signatures in whole blood. Currently early TB treatment response is mainly evaluated by Week 8 sputum conversion and the clinical state of the patient. This is not always adequate. We have recent evidence on end of treatment PET/CT scans that not all patients who are clinically and microbiologically cured according to the National TB program, are in fact free of pulmonary inflammation. Biomarkers of treatment response and risk of treatment failure or TB recurrence/relapse are needed to distinguish patients who are truly cured at end of treatment from those who actually failed treatment or are at risk of relapse. PET/CT is one such biomarker that we are investigating in a few projects and it shows potential to be used in specific research settings to act as biomarker of treatment response and failure/ recurrence. Other potential candidates are cell surface markers and cytokines. The Stellenbsoch University Immunology Research Group has recently appointed two dedicated senior bioinfomaticians to establish a bioinfomatics unit at our faculty. This will greatly increase our capacity to harness the large amounts of immunological and genetic information that TB studies are generating, and will serve the TB biomarker community in an institutionally independent manner. We are part of international and local research collaborations that aim to promote biomarker bioinformatics as a means to find answers for many of the key questions in tuberculosis immunology. The group is actively involved in TB vaccine research. The main focus of our participation revolves around the exploratory immunological laboratory analysis of the TB vaccines. It is important for us to understand the complexity of the immune responses induced by the different vaccines. Here we evaluate the phenotype and multi-functionality of cells induced by vaccination. We have been involved in several trials ranging from booster vaccines to potential BCG replacements. The latest of the trials is in collaboration with Vakzine Projekt Management GmbH, a German vaccine company. We are the lead immunological facility for a trial with several partners. We are also working in close collaboration with the South African Vaccine Initiative (SATVI) in an attempt to harmonize and standardize assays used for vaccine analysis.